We offer dermatopathology, head and neck and ophthalmic pathology consultations for pathology organizations worldwide. Visit our website or call (617) 549-1168 to find out how we can help your practice to establish, grow and promote your subspecialty outreach program and effectively compete with reference laboratories. Our services, supported by custom-designed digital pathology-ready workflow solution, range from second opinion consultations on difficult cases to providing daily subspecialty signout and short-term coverage. Find out how recognized experts in the field can support your practice at a fraction of the cost of hiring a full-time dermatopathologist. 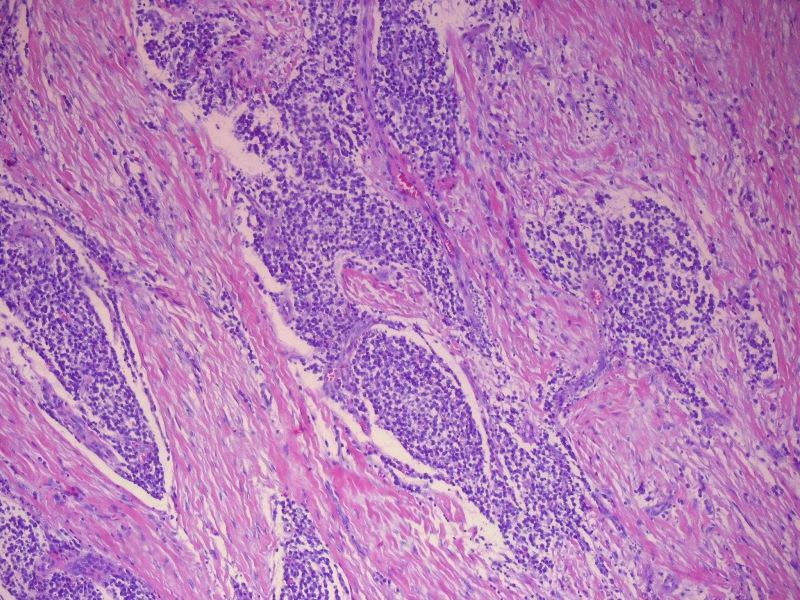 (1) We have updated the in situ carcinoma section of the Breast-Malignant chapter, which is now in our new format with thumbnails of most images. - John Irlam, D.O., University of Toledo Medical Center (Ohio) - Skin-Nonmelanocytic tumors chapter: Cylindroma, Trichilemmoma, Sebaceous Hyperplasia, Eccrine Poroma and Sebaceous Carcinoma; and Skin-Melanocytic tumors chapter: Blue Nevus. (3) If you live in the Detroit, Michigan area, sign up for the first annual 5K Run / Walk for our charity, The Detroit College Promise. The run is scheduled for Saturday, October 10, 2009 at 9:00 am, with registration at 8:00 am. You�ll have a great time visiting Detroit�s new Riverwalk and meeting other people interested in running, education and supporting the city. Click here to register. Thanks to Dr. Juan Jos� Segura Fonseca, Laboratorio de Patolog�a Diagn�stica, S.A., San Jos�, Costa Rica, for contributing this case and much of the discussion. 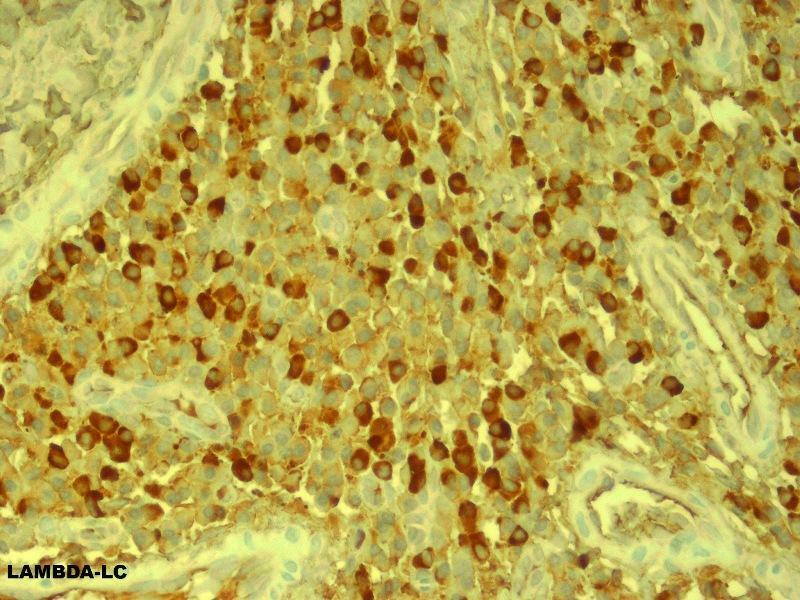 To contribute a Case of the Week, email NatPernick@Hotmail.com with the clinical history, your diagnosis and diagnostic, high quality microscopic images in JPG, GIF or TIFF format (send as attachments, we will shrink if necessary). 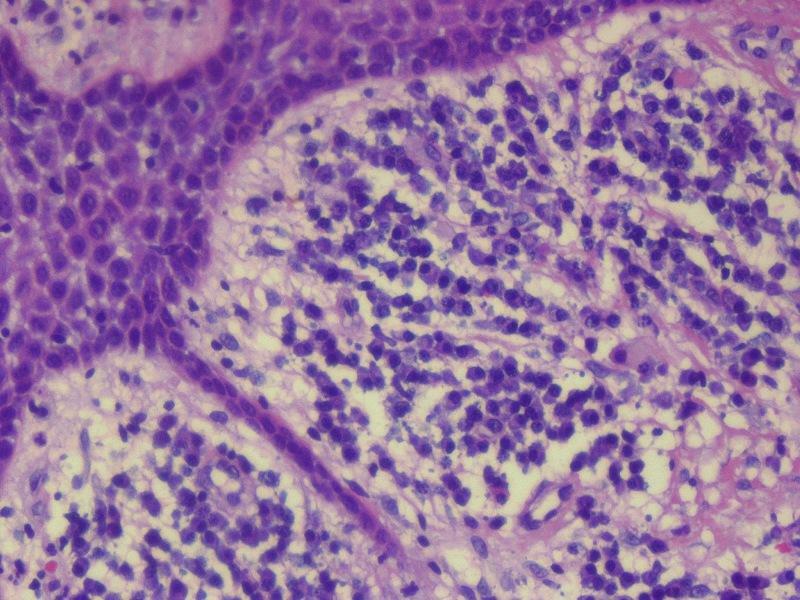 Please include any other images (gross, immunostains, etc.) that may be helpful or interesting. We will write the discussion (unless you want to), list you as the contributor, and send you $35 (US dollars) by check or PayPal for your time after we send out the case. Please only send cases with high quality images and a diagnosis that is somewhat unusual (or a case with unusual features). Microscopically, there was a dense infiltration of mature plasma cells beneath the squamous epithelium, separated by thick collagen bundles. 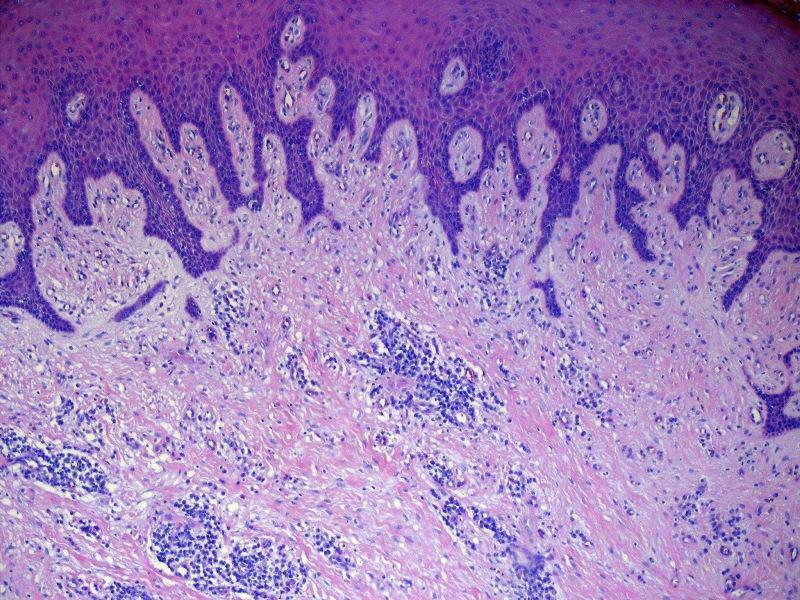 A pronounced lichenoid reaction was seen in the overlying squamous epithelium. The plasma cells were polyclonal based on cytoplasmic staining for both kappa and lambda light chains. 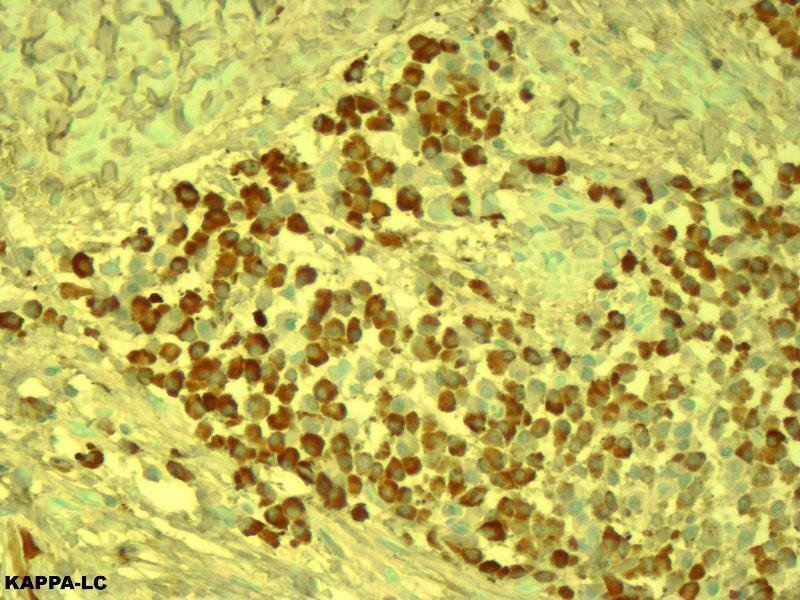 Plasma cell gingivitis, first reported in 1960 as plasmocytosis circumorificialis (Dtsh Zahnorzd 1960;15:601), is a rare inflammatory condition of uncertain etiology. It is characterized by a diffuse and intense infiltration of mature plasma cells in the subepithelial gingiva. Causes include an allergic reaction to chewing gum (J Periodontol 1971;42:709, Oral Surg Oral Med Oral Pathol 1992;73:690), mint (J Periodontol 1984;55:235), red chili, black pepper and cardamom (CDS Rev 1995;88:22), toothpaste, including herbal brands (Br Dent J 1990;168:115, J Contempt Dent Pract 2007;8:60) and khat (Catha edulis, a plant that is chewed in Africa and the Arabian peninsula) (Br Dent J 2002;192:311).� Though plasma cell gingivitis seems to be a well-established entity, its classification as a distinct condition has recently been questioned (SADJ 2008;63:394). The clinical differential diagnosis includes more serious conditions that affect the gingiva, such as leukemic infiltrates, multiple myeloma, solitary plasmacytoma (forms a mass, clonal) and Walden-Strom macroglobulinaemia. �Chronic hyperplastic gingivitis usually has thick collagen fibers and granulation tissue, and lacks an intense plasma cell infiltrate.� Dermatologic diseases that involve the gingiva include discoid lupus erythematosus, lichen planus and pemphigus. Treatment includes removal of the offending substance. This case was also reviewed by an oral and maxillofacial pathologist, who noted that for his specialty (certified by the American Board of Oral and Maxillofacial Pathology), this case represents non-specific gingival inflammatory hyperplasia, although the possibility that there could be a drug-related component (phenytoin, Ca-channel blocker, cyclosporin) would also be a consideration.� Clinically, the gingival tissues would be much more erythematous in plasma cell gingivitis than in the present case, and the plasma cell infiltrate would be much more diffuse, essentially mimicking extramedullary plasmacytoma.